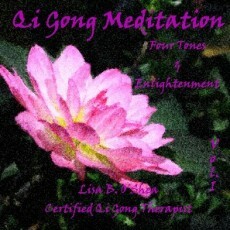 The Four Tones is a chanted meditation that I first came across when studying with Master Hong Liu in California. It uses sound and vibration to carry the listener to a place of balance and peace and feels wonderful. The Enlightenment Meditation, also known as the Upper and Lower Dantian Meditation, is a very special meditation developed and taught to me by Dr. Yang, Jwing-Ming. I have never seen any other meditation that builds energy to such high levels as this one. It utilizes specific meridian points and the breath to build energy in the body for longevity and enlightenment.